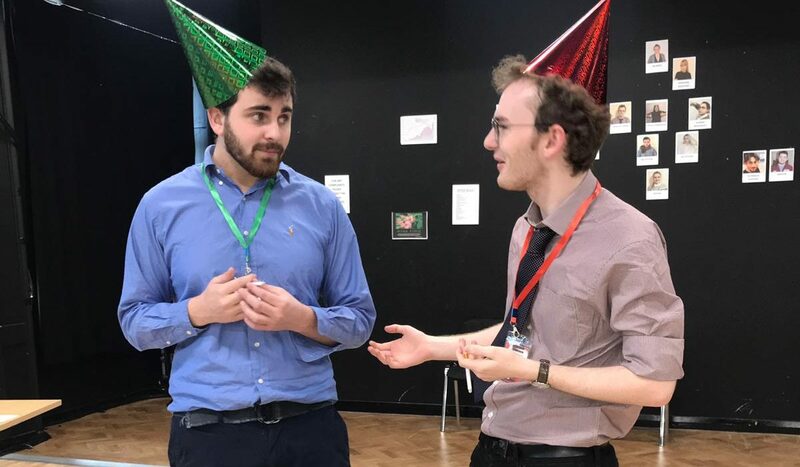 Manchester Musical Revue (MMR) took on the gargantuan task of the 48-hour Challenge: They rehearsed a musical for just two days and performed the one-off production on the third day. This had the potential to go disastrously wrong. Instead it was an hour-long party of music, utterly hilarious, and joyful. Director James Ward-Mallinson created a show around the night after an office party. Each character fit into an extreme version of an office hierarchy, from the Boss (Clarisse Martin) to the Intern (Esme Wade). This show was a credit to the camaraderie and chemistry of the cast (and creatives). The show stayed at a great pace and it was so enjoyable to watch the cast play off each other and the band onstage. Ross McFadden and George Haviland singing ‘No homo’ – from Alexander Sage Oyen’s song cycle Moment by Moment – was comedy gold. Their story was made more comical by the fact that all the female characters were constantly trying to date Ross, unaware he is with George. Becca Windsor de Taboada was excellent as the pedantic office manager with too many rules. Her rendition of ‘How do you solve a problem like ‘Maria’’, from The Sound of Music, replacing the infamous lyrics with her own name, was really well delivered – she did well to tackle such a difficult song with its high range and keep it funny. 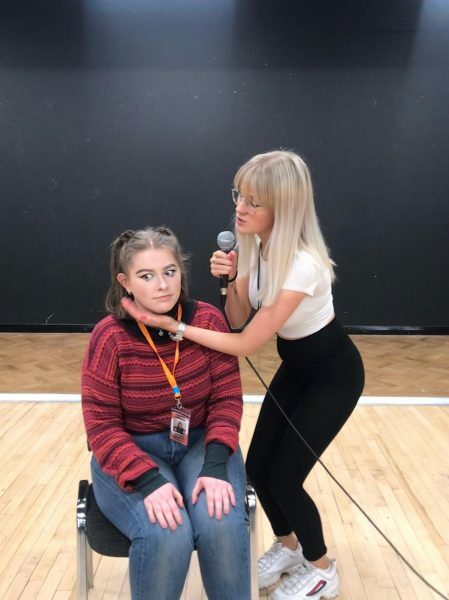 Each song was well picked for the performer and their abilities, this a credit to the direction of Ward-Mallinson and Flo Crompton (Assistant Director and Choreographer). Another strong vocal performance was Fenella Wheatley singing ‘Hopelessly Devoted to You’, from Grease. The song is deceptively difficult to sing and Wheatley created an emotional moment to the comedic show. Megan Shone singing ‘Feed The Birds’ (Mary Poppins) was a bonkers delight to behold. Shone’s ability to command a stage without saying anything (sat on the stage staring at the audience) had us all in stitches. A highlight of Shone’s performance was watching her pull slices of bread out of her pockets and tossing them into the audience as she sung (a few pieces got tossed back). MMR was yet again unapologetic in its fun, but also the talent and improvisation skills of the cast was so impressive. No one involved took the show too seriously and therein lied its success. This was epitomised by Ward-Mallinson and Musical Director Daniele Anderle getting onstage to sing ‘Mambo No. 5’ (Lou Bega), substituting the original names for the cast names and leaving the stage in a conga line. This musical was side splitting for those of us who understood the ‘in jokes’ and still hilarious for those not quite as familiar. 48 Hour Challenge? Completed.